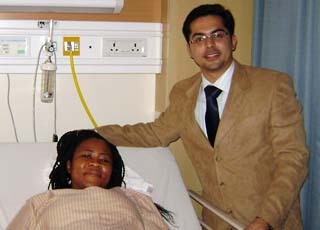 I am Juliana from Uganda I came for my laser Disectomy Surgery in India with the best laser Disectomy surgeon associated to Forerunners Healthcare Consultants. For several years before Laser Disectomy Surgery in India I had recurring lower back pain. At that time I was a regular runner. With time this became more severe and constant, so that I had to stop running. I found out that I needed an operation for a back problem which was causing severe pain to my left leg from the sciatic nerve. After speaking to my GP and realizing I was getting nowhere I decided to take the matter into my own hands as I could hardly walk.